Rugby is my passion: playing, analysing, supporting, coaching. Rugby is my passion: playing, analysing, supporting, coaching. As a professional rugby coach, I’ve been privileged to have worked alongside some of the finest young talent both of the present and future as well as some of the premierships very best coaches. From my own coaching perspective I feel that it is my job to make sure that players develop in every session which they attend, this is our role as a coach. With my role with Cambridge RUFC in National 1 as Defence Coach its essential that I work with the club to develop a strategy on how to develop a successful 1st XV & 2nd XV who can be successful in National 1. My role now in its second season sees the club enter a new league where they’ve been before to ensure that we’ve prepare the best each week to be successful in National 1. Along with my role with the University as Academy Manager this sees me take on a number of very talented rugby players to develop them to push into the ‘Blues’ Squad’ who play in the Varsity match at Twickenham each year against Oxford. The role includes skills with the Blues Squad as their skills coach. Working with James Shannan to develop and improve player within their Blues Squad to ensure that the team is best prepared for their Varsity game each season. 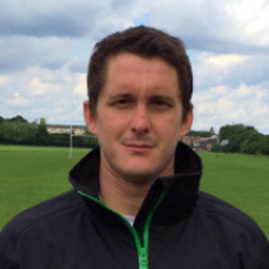 Responsible for CURUFC Skills and development of 16 players in the clubs Academy. Drop us a quick message!